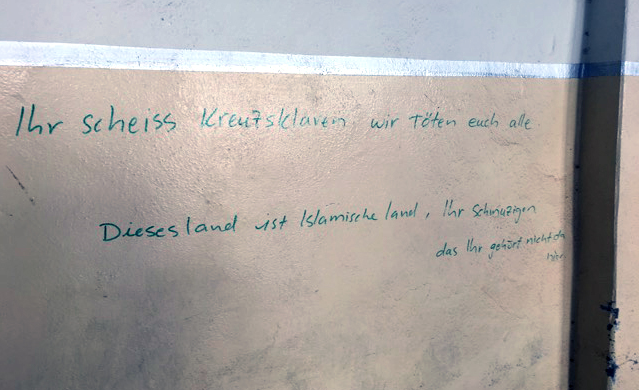 NEW YORK—In an eerie reminder of the ISIS has had in recruiting foreign fighters, provocative graffiti in German was found on the wall of a chapel during an inspection of the small town of Batnaya, on the Nineveh Plane. The small town, just 10 miles from Mosul, was recently recaptured from ISIS. It had been home for 850 Christian families.